Thank you for this very informative video. Generally speaking, if its a crack that has opened up (from a fold) during the shaving / sanding process, you will never know once it is painted, which is why it is so important that the batim are inspected thoroughly before painting. It is therefore so important to buy batim from a reputable and highly competent batim macher, and they must be thoroughly inspected (preferably independently) prior to painting. Please post more videos when you have time! See Zichron Eliyahu 215-216 who is machshir. I was not aware that anyone still produced 'or echad dakkos. Are there any other manufacturers still around? Why are you saying dakkos? These are gassos as far as I can see, and he even mentions this. Am I missing something? See the very end of the video as well as his other videos. It seems that he gets his gassos from another battim macher and makes the dakkos in house. I stand corrected. It was in his other video, entitled "Gasos vs Dakos". Keses Hasofer 24:2 - If the Bayis has a slight tear to the outside, whether a Rosh or a Yad, it is posul. What is HIS Makor?? Please have some respect when questioning a sefer whose every psak was approved by the posek hador Rav Elyashiv zt"l unless stated otherwise. He is obviously aware of that halacha, but is nonetheless of the opinion that a chor or kera' that is not even visible k'neged hashemesh does not have a din of a chor or kera' to pasul. He even paskens that although battim machers are makpid to check for holes by pouring in water or alcohol, this is not necessary, nor is it a sign that there is a hole, as sometimes the liquid can seep out despite the fact the the skin is completely whole, עיי"ש. Just to be clear, I am not saying that you do not have the right to disagree, merely that it be done respectfully. I also take issue with stating חד משמעותי that such a bayis is pasul when the posek hador was machshir. I would obviously have no issue whatsoever if one said that although Rav Elyashiv zt"l was machshir, others are machmir, and it is certainly appropriate to obtain tfillin without such a shayla so that the tfillin are kasher bli pikpuk. Chas vesholom no disrespect was intended. However when an opinion is presented that seems to contradict poskim that are widely accepted, valid sources must be presented to back it up. 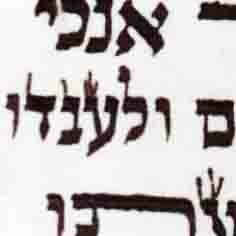 The "haskomo" on the sefer does not mean that Rav Elyashiv zt"l concurred with every detail. It is truely a wonderful sefer nontheless and worthy of his "haskomo". Rav Moshe Feinstein zt"l paskened that only a very small hole in a bayis is kosher, of a size where if it was on parchment it would be ok.
Shulchan Aruch Harav 32-17: Any hole that ink passes over it and blocks it, and is not visible unless held up to the sun, is not considered a hole, and one may write on it "lechatchila", and for this reason they permitted writing on tanned bird skin even though it is full of tiny holes from the place of the feathers. The concept of "nira neged hashemesh" - of the hole being visible only if held up to the light - is an indication of its tiny size, and since it is so small it is no longer considered to be a hole. This same concept applies to Batim. Shulchan Aruch Harav 32-56: The most proper hide to use for the mitzva of making batim is Shlil (embryo), followed by bird, then "Chaya, Behema ksheira, Behema nevaila utraifa". 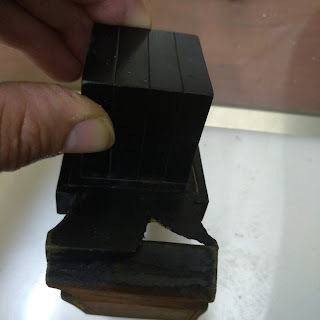 It is quit obvious that larger holes or a tear would invalidate the tefillin even if light did not shine through, because it is not the light that matters, but rather the size of the hole. 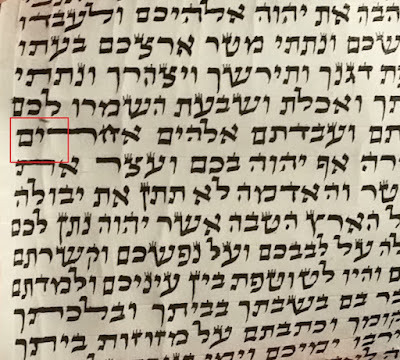 See p. 21, "וזאת למודעי שכל הסיכומים שנכתבו בסתם הם ע"פ הכרעת גדול הדור, עמוד ההוראה, הגאון האמיתי מורנו ורבנו רבי יוסף שלו' אלישיב (שליט"א) [זצ"ל]. אמנם זאת למודעי דאף שהשתדלנו לברר כמה פעמים כל סעיף שבסיכומי ההלכות ע"י דוגמאות מוחשיות כדי לדעת שאכן הבנו אל נכון כונת הפוסקים שליט"א, מ"מ שגיאות מי יבין ובפרט בדברים המסובכים, ע"כ בכל שאלה המתעוררת למעשה יש לכל אחד לעיין במקור הדברים, ואחר כל זאת יש לשאול מורי הוראה הבקיאים בהלכות אלו ולא לסמוך על הכרעה מתוך הספר. כי בודאי אם תמצא בספר איזו שגיאה או טעות בהכרעה אין הטעות מפי רבותינו שליט"א, אלא הטעות היא מאיתנו שלא השגנו הבנת הפוסקים שליט"א וטעינו בכונתם.